For years, skin care lovers have heard about the four skin types: normal, dry, oily, and combination. You may have also heard of many one-size-fits-all skin care products. Sadly, though, many people are still plagued by problem skin, despite the growing number of high-priced lotions, creams, and supplements. Dr. Leslie Baumann's groundbreaking book, The Skin Type Solution, reveals a startling fact: there are actually 16 skin types. What's more, your true skin type will dictate the skin care products you choose and your overall beauty regimen. LoveToKnow (LTK): Why did you write "The Skin Type Solution"? I am a fan of the Myers-Briggs personality types, which combines four parameters into 16 types, so I followed the same model and did the Baumann SkinTyping System. I realized, however, that most people would incorrectly guess their type (over 80 percent) so I developed the BSTI (the Baumann Skin Type Indicator), which is a questionnaire that determines your skin type. The book was written as a way to share the questionnaire with other doctors and patients and to explain what each of the types is. The book also tell you what products are right for your skin at three price points: $, $$, and $$$. LTK: We see so many products that claim to be for "all skin types." Is that a false claim? LB: Yes! No one product is right for all types. Even sunscreen can have properties good for some types and not others. For example, sensitive types will do well with a sunscreen with anti-inflammatory ingredients such as fever few, while wrinkles types would want one with retinol, an ingredient that may irritate sensitive types. LB: The skin cells that flake off the skin clog the hair follicle or pore. This leads to a blackhead or whitehead. Oil, or sebum, makes this clogging worse. Bacteria move in to eat these dead cells and release inflammatory factors that cause redness and pus. LTK: How does the skin type theory relate to acne skin care? LB: Acne patients are sensitive types. They should look for salicylic acid, benzoyl peroxide, and anti-inflammatory ingredients. LTK: Are certain skin types more prone to blemishes? LB: Yes, the sensitive types, which is eight of the 16. The oily sensitive types are the most prone, which is number four of the 16 types. LTK: Are any skin types immune to acne? 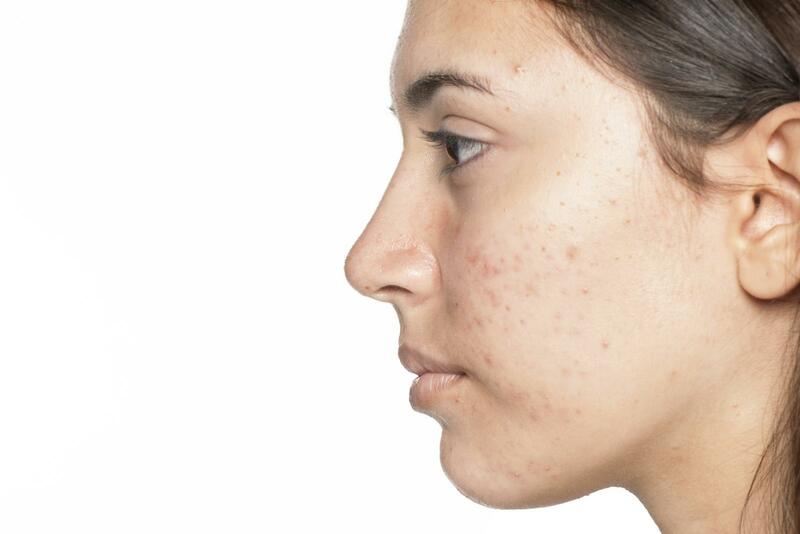 LB: Anyone can get acne if using a comedogenic product, but some types get it more frequently than others. LTK: Is benzoyl peroxide safe and effective for all skin types? LB: No- it can irritate some dry sensitive types. LTK: Is it possible to cure acne? LB: Prevent and treat and cure. Yes! LTK: Once the damage has already been done, what do you recommend to treat acne scars? LB: Laser or dermabrasion resurfacing. I love the Fraxel laser for this. Dr. Leslie Baumann shares more about ber background: "I started at the University of Miami Cosmetic Center in 1997. We were the first university to have an office and center dedicated to cosmetic dermatology (research education and patient care). In 2002, I wrote the bestselling textbook Cosmetic Dermatology:Principles and Practice that is now printed in four languages. My center has done much of the research that has led to FDA approval of things like Botox, Hylaform, Juvederm, Tri-Luma and many more. Every month for nine years I have had a dermatologist from another country rotate with me, so I have research connections worldwide and am frequently invited to speak internationally. In fact, in February I went to Australia to launch CosmoPlast. I also, for over five years, have written the column "Cosmeceutical Critique" for the leading dermatology newspaper Skin and Allergy News. It discusses the science of various skin care ingredients. It can be accessed for no charge at Skin Type Solutions." For more information about Dr. Baumann and her innovative skin typing system, visit her website at www.skintypesolutions.com. 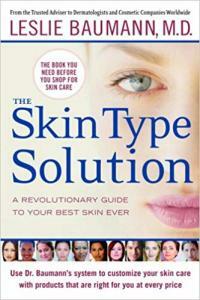 The Skin Type Solution is available at Amazon.com.